We’re a nation of people who can’t throw things away, with 28% of us admitting to being hoarders, while one in 10 Brits say they haven’t decluttered for over five years. But, when it comes to the contents in your medicine cabinet, having a clear-out could save space, cash and even stop you getting sick. “Any medication past its use-by date is dangerous,” warns Stuart Gale, chief pharmacist and owner of oxfordonlinepharmacy.co.uk. How do you know if something is out of date? Can’t find an end date on the packet? Check for changes in appearance (has a liquid separated or changed colour?) and texture (tablets becoming softer, crumbling or sticking together). “Remember that some items, such as eye drops, can have limited expiry once opened, such as 28 days,” says Stuart. Been prescribed medication by your GP but not finished the whole course? You’re not alone. The NHS estimates that £300 million is wasted every year on partially used medicines. But, with antibiotics, you could be doing yourself serious harm. “A course of antibiotics is prescribed to treat that infection alone,” says Stuart. 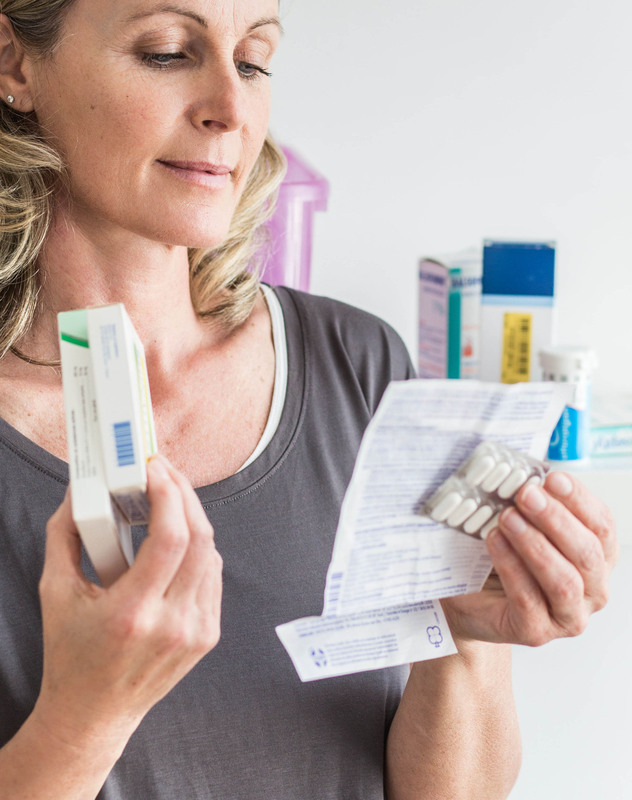 “Antibiotic resistance, as a result of people taking half-used, old prescriptions to treat new self-diagnosed ‘infections’ must be treated with the utmost seriousness.” If in doubt, ask your pharmacist. 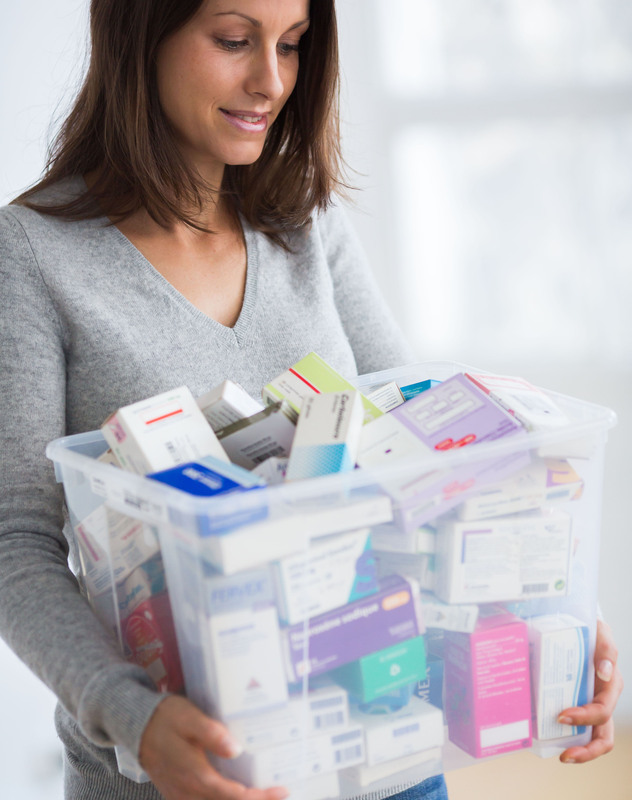 What things should you throw out or upgrade in your medicine cabinet? Upgrade the thermometer. If yours is decades old it may be time to go digital. “Any thermometer will do the job, but digital ones don’t carry the risk of a child biting a glass thermometer with mercury in it,” says Stuart. Also, beware of toxic plasters. Loss of stickiness isn’t the only problem with old plasters. “They have a date beyond which sterility is no longer guaranteed,” says Stuart. And, don’t fill up your drawers with fakes. It’s estimated that half of all drugs sold from disreputable sites online are fake. Some drugs are bootleg versions in different doses from those on the label and produced without quality control. One heart drug seized by EU customs officers contained brick dust coated with yellow paint. Never be lured into paying more to stock up on big-name brands. “With medicine, the name and brand is irrelevant to how well it works,” says James O’Loan, Consultant Pharmacist at doctor-4-u.co.uk. So how do you know what sort of thing to buy? Painkillers: Own-brand painkillers contain the same active ingredients as branded ones. In Panadol, it’s paracetamol. In Nurofen, it’s ibuprofen – save around £1.90. Sore throat: Gargling with a 300mg tablet of aspirin dissolved in water is as e ective as a pricey anaesthetic spray – Save £6.10. Erectile dysfunction: “Viagra is a household name,” says James. “But the drug itself is sildena l. It’s identical in every way, apart from the price.” – Save £5. Eczema: Aqueous cream contains the same liquid paraf n and white soft paraf n as specialist soap substitutes – Save £21.40. Blocked nose: Look for the active ingredient pseudoephedrine, found in sudafed. – Save £1. Hayfever: Pick antihistamines loratadine or cetirizine for a fraction of the price, plus they won’t cause drowsiness. – Save £1.50. Eye infections: Look for chloramphenicol, the active ingredient in own-brand eye drops – Save £1.50.